Satisfy your carb-y cravings for a plate of perfection! Whether you’re a fan of white or red sauce, check out our round up of favourite pasta fantasies and find your pick below! 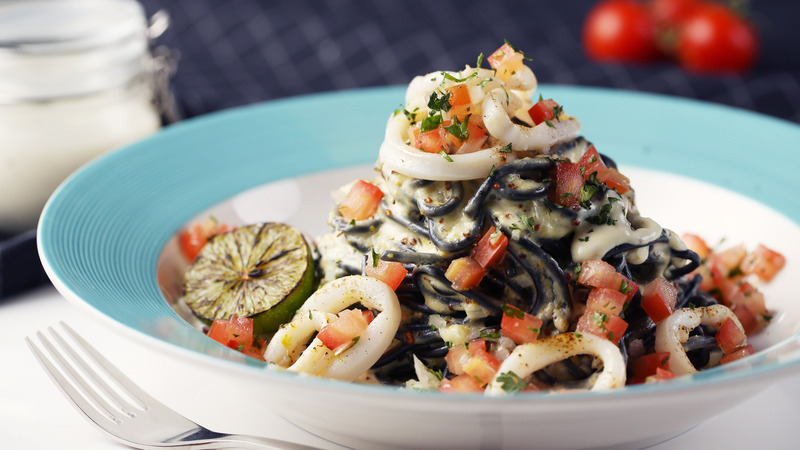 Satisfy your tummy with delectable Spaghetti with Seafood in Tomato Sauce ($158). The dish is just as delicious as you’d expect, with a thick and but tangy sauce that’s sure to be refreshing and appetising. Fans of Spaghetti Aglio Olio Peperoncino ($100) will approve of the flavour-packed offerings. It’s simple yet stunning, and proves that a good pasta can still be great with just a few key ingredients. Try this admittedly delicious Ribeye Steak Linguine ($158) at this cozy French bistro. With a rich and beefy touch, it is definitely good value for the price. You can taste a wide variety of French specialties here too! Indulge in a blend of prawns and white wine butter sauce of the Signature Prawn Linguine ($128). The key here is the white wine butter sauce, which has a complexity of flavour and subtle spiciness to balance out. With a traditional Italian touch, the Spaghetti Martelli Alle “Vongole” ($208) is something you have got to try. Opt for a pasta dish from Spasso then follow it with one of their famous signature cocktails made with house-infused vodkas. Taste the flavours of home with a plate of the Orecchiette with Sausage and N’duja ($140). The traditional home-cooked eggless and slightly chewy orecchiette is the perfect match for the slightly spicy sausage. Enjoy the Squid Spaghettini Cod Roe Cream Sauce ($98) tossed with mentaiko, butter, and cream. The touch of Japanese flavours from the mentaiko makes the dining experience feel more authentic. Penne “Jerome” ($188), tossed in a creamy gorgonzola sauce with black truffle, is surely a star in its own right. This simple but tasty vegetarian pasta dish is all you need for a satisfaction guaranteed. Think out of the box with choices like Prawn & Avocado Genovese ($98); avocado’s creamy texture goes great with bouncy prawns, which lifts the flavours of the dish.